Active and passive solar systems integrated into building envelopes are key to combatting climate change. However, there are many barriers which confine current solutions to the demonstration stage and prevent them from going mainstream. To increase the size of the market, researchers have examined these barriers as part of Task 56, Building Integrated Solar Envelope Systems for HVAC and Lighting, under the auspices of the IEA Solar Heating & Cooling Programme. Their report will not be available until September 2018, but this article contains a summary of the main conclusions. The technologies which the Task 56 researchers investigated were solar thermal as well as solar PV elements and daylighting components. Integrated active shading to control light levels during the day has already been available, whereas the potential of active solar solutions has remained largely untapped. The installation of the latter is often time-consuming and challenging work, which increases the risk of errors compared to traditional units. Not only do building planners need to consider plumbing and HVAC, but who is responsible for which part of a solar envelope technology is also not clear sometimes. Solution: Prompt a paradigm shift in planning and construction site management, as architects, energy planners and envelope and system installers must collaborate closely early on. Use plug & play elements for easy system integration into the building envelope and connections to building automation to facilitate planning, implementation and control. In addition to technical complexity, there are also regulatory barriers, primarily due to issues with standards and certification. 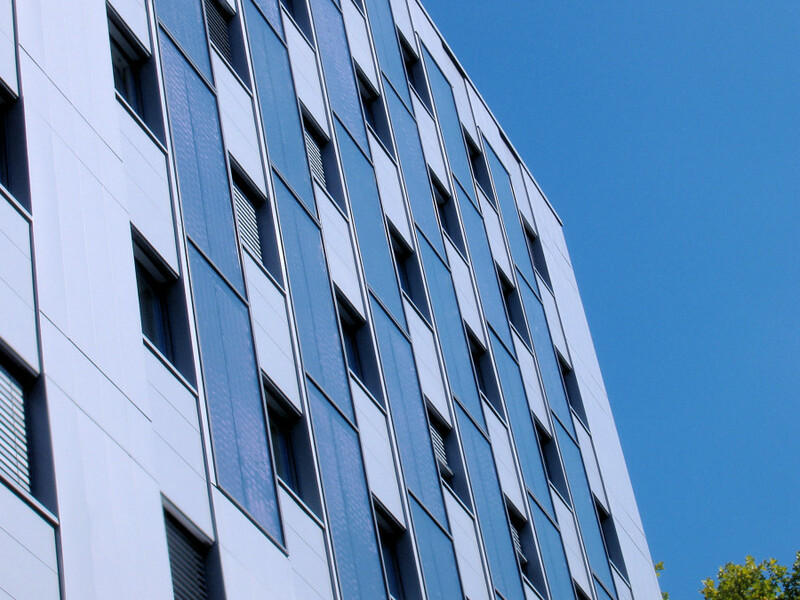 Building-integrated solar envelope systems are supposed to meet both construction and solar industry rules and guidelines, which leads to uncertainty among potential investors. Solution: Develop suitable, comprehensive regulations to accommodate special design and construction needs. Manufacturers and suppliers of envelope-integrated systems should also work with policymakers to ensure that innovative solutions are part of revised building regulations. Additionally, ensure that active solar components do not need to be re-certified when they are integrated into a building envelope instead of being mounted on it. Many solar envelopes disrupt the outward appearance of a building. Moreover, architects and engineers have a difficult time assessing and guaranteeing their performance. First, there is a lack of professional knowledge. Second, it is sometimes nearly impossible to model the technologies on a computer, as complex solar envelope systems are often not part of simulation tools. Solution: Incorporate solar envelope components into common building design software and CAD resources, such as building information modelling, or BIM, to get products ready for the mass market. Offer architects and planners easy to use design support tools for visual impact and energy savings assessments, even if they have never dealt with solar envelope solutions before. The key point regarding system economics is the cost of investing in a building-integrated solar system, a more expensive solution than add-on solar units. If the payback calculation includes only energy savings, any investment will hardly pay off within a reasonable time frame. Solution: The Task 56 researchers suggest to create new cost evaluation methods and opt for a more holistic approach when analysing the economic benefit of solar envelope systems. Any economic analysis should include additional criteria, such as versatility of the design, improved building physics and asset value. After having analysed the barriers, the Task 56 researchers are now devising best practice guidelines and strategy recommendations to make solar envelopes a commercial success.